OpenVCE.net now has a region named “NewVCE” on the Opensim-based New World Grid which will be established with the usual OpenVCE faclities in the coming months. It is alongside the Open Virtual University of Edinburgh region named NewVue. 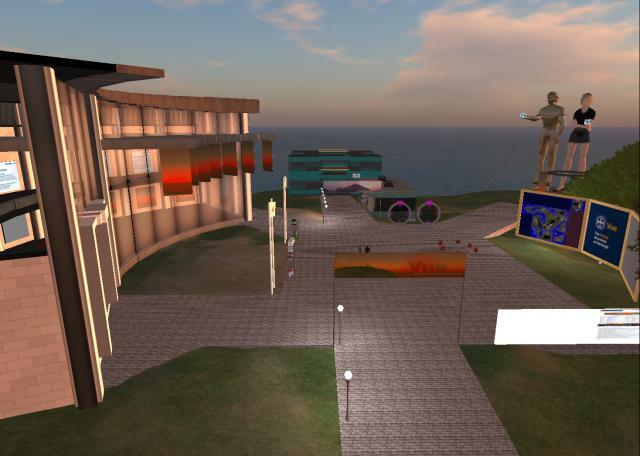 OpenVue was able to be cloned from an “Opensim Archive” (“OAR”) of the entire contents and terrain of the Open Vue welcome region on the open Vue/AIAI Opensim-based Grid. Here is an image of NewVue as at 11-Nov-2009.